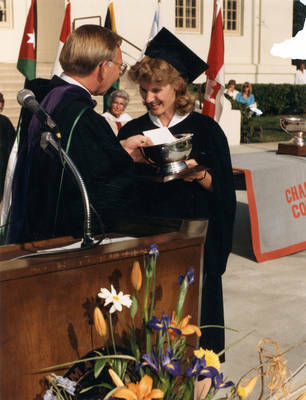 "President Smith awards Cheverton trophy to Susan Reagan"
Chapman College, Orange, California, May 25, 1986. President Buck Smith awards the Cheverton Trophy to Susan Reagan. C photographs; 6" x 4.5"